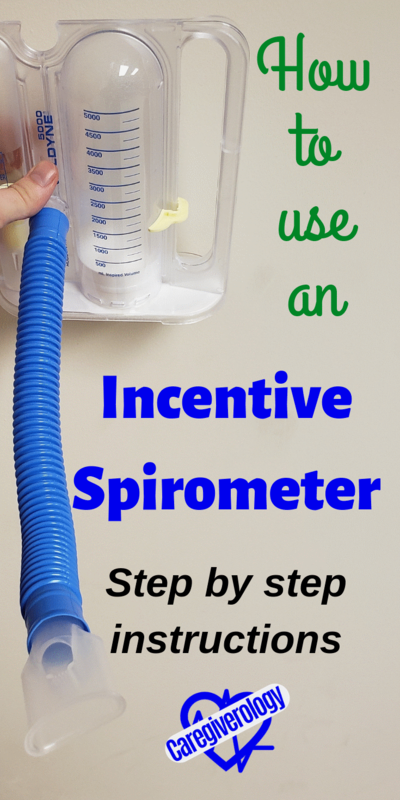 How do you use an incentive spirometer (abbreviated as IS)? It may look like a complicated little device but it is actually quite simple to use. 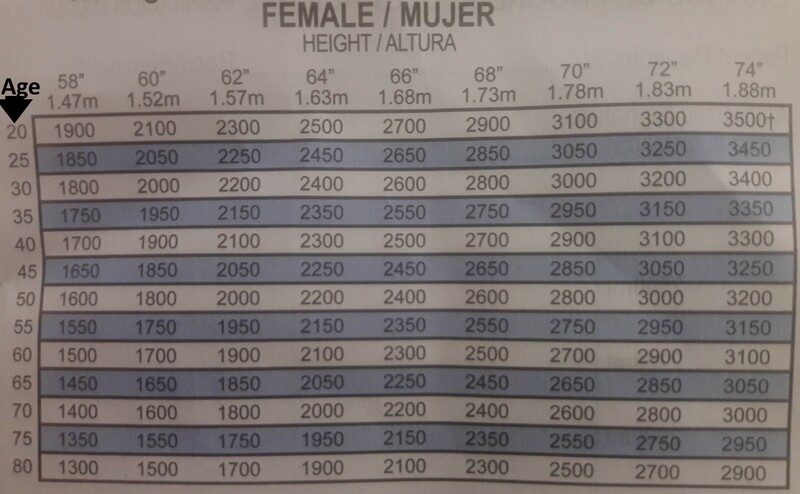 These instructions are written so that caregivers, as well as their patients, can understand them. While being admitted to the hospital, you may receive an order to use an incentive spirometer. This is the most common place it is used but it can also be used at home. You can order one online for fairly cheap. There are amazon links towards the bottom of this page if you wish to order one. Its many benefits include opening the airways, expanding the lungs, improving ventilation, and preventing as well as removing secretions. This helps prevent complications such as pneumonia from occurring. Common conditions that may benefit from it include pneumonia and COPD among other respiratory issues. It also helps patients who are on bedrest after surgery (post op) as it aids in recovery from anesthesia. It also has the benefit of lowering body temperature. If you have a fever, go through a few breathing cycles with it and wait a few minutes, then recheck. It often works surprisingly well. The incentive spirometer unit I will be referring to is the Volumetric Exerciser Voldyne 5000. However, most other devices function similarly. 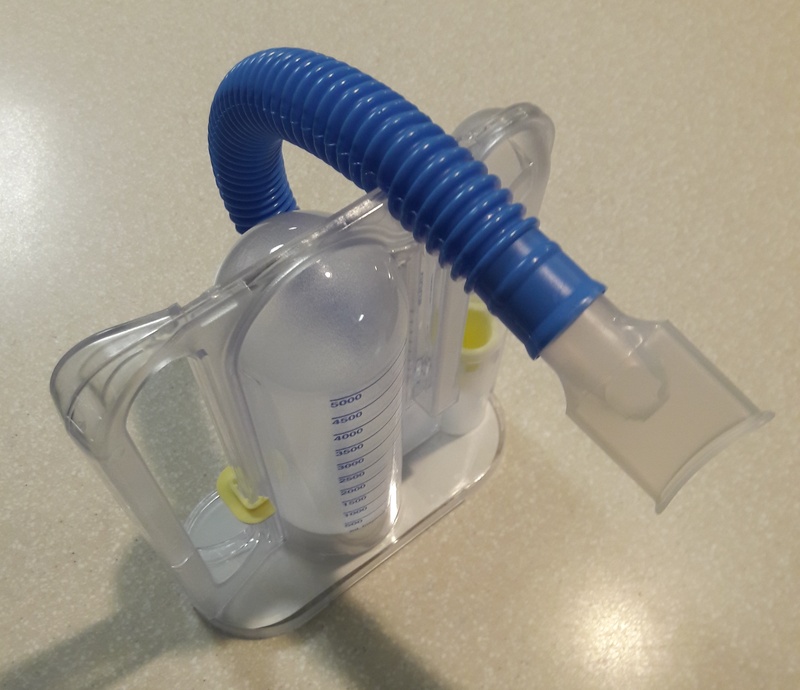 When first taken out of the package, the tubing and mouthpiece will be separate from the unit itself. The end of the tubing connects to the hole located slightly to the left in the front of the unit. 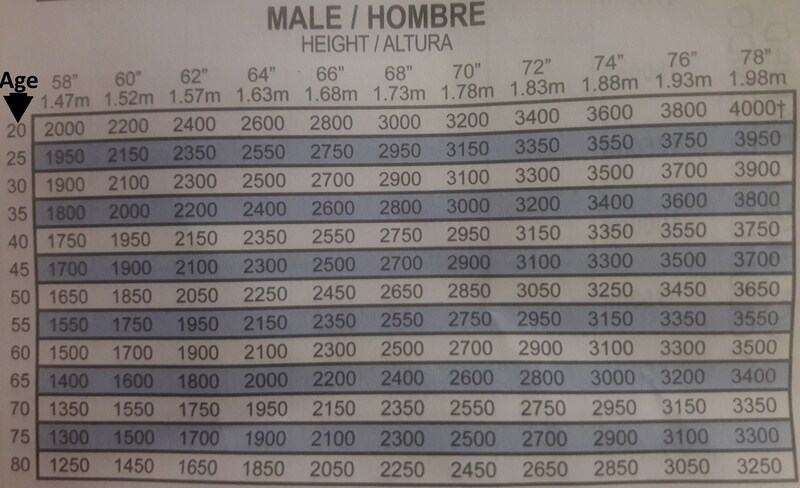 The yellow pointer piece on the right should be slid to the recommended goal number for your age as indicated in the charts below. It can also be used to mark your best breath taken as a goal to aim for when you take each additional breath. Sitting up straight either by sitting on the side of the bed or raising the head of the bed all the way up helps to maximize your efforts. 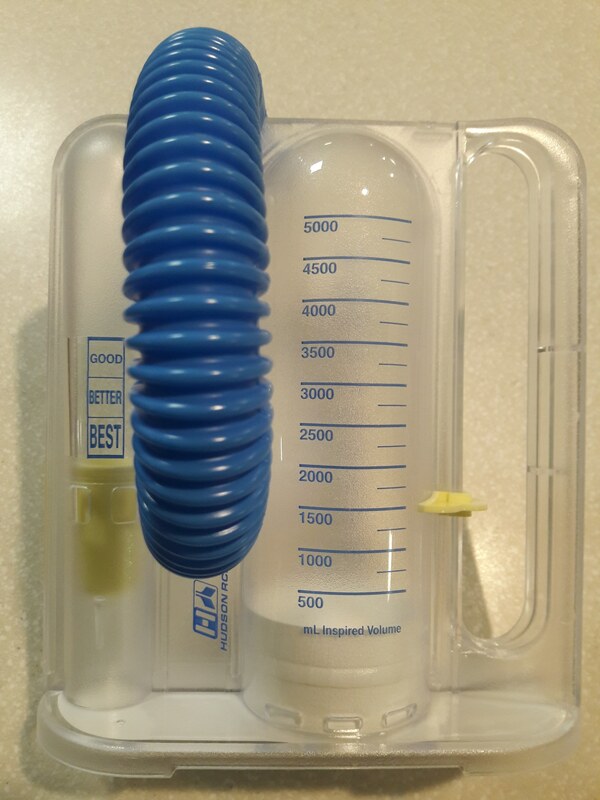 Hold the incentive spirometer in front of you and let out a normal breath to fully empty your lungs. Place the mouthpiece inside of your mouth and close your lips tightly around it. Take a slow, deep breath. This will raise the piston in the chamber in the middle of the device. 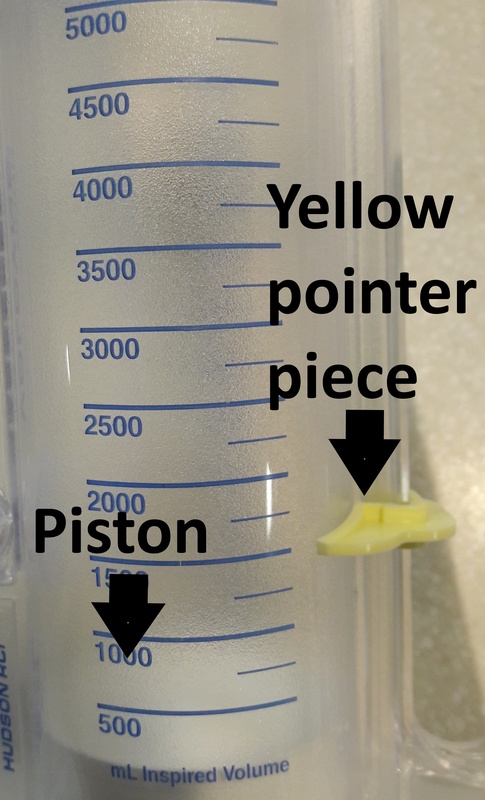 Where the top of the piston reaches indicates your total inspired volume in mL. 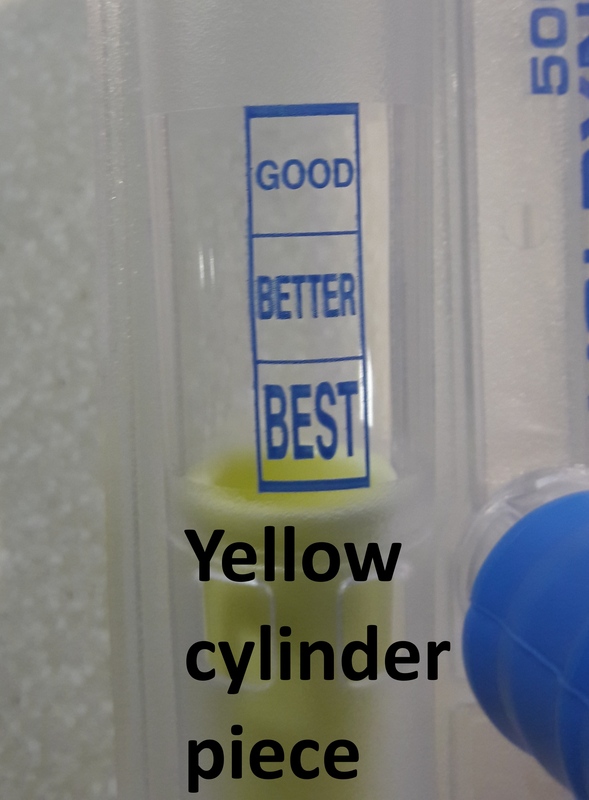 Try to keep the top of the small yellow cylinder piece on the left side in the "best" section by breathing slowly and steadily. Remove your mouth from the mouthpiece and hold your breath for a few seconds. Exhale normally and allow the piston to drift all the way back down to the bottom of the device. It is normally recommended to perform this routine approximately 10 times every hour while awake. A good rule of thumb is to do it at least once during every commercial break while watching television. You should attempt to cough deeply after each hour to loosen up any secretions. Deep coughing means to try to tighten your abdomen and cough in such a way that moves air, and potentially secretions, all the way from the bottom of your lungs. If you become dizzy or lightheaded while using an incentive spirometer, stop using it immediately and take a break. Just breathe normally for at least a few minutes. You may be taking in too much oxygen at once. Note that if you have an incision in your chest or abdominal area, place a pillow over it and hug it tightly while you cough in order to splint the incision. This helps with pain commonly associated with the coughing as well as making sure the incision stays closed. If you are physically able and your physician's orders allow it, you may be encouraged to walk in order to further aide in expanding your lungs and loosen up secretions. There is a half circle notch at the top of the device where the tubing can be placed in order to maximize space and keep it safe and out of the way. You can rinse the mouthpiece with water after use. For home use, the mouthpiece and tubing can be detached and rinsed out or can even be ran through a dishwasher. It is intended to be used by only one patient. Because of this, if they are left in the room after a patient is discharged from the hospital, they are thrown away. So it is perfectly fine if you want to take your incentive spirometer home with you.